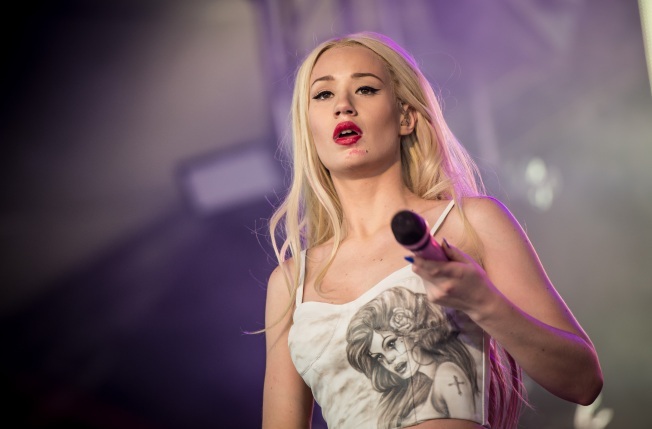 Iggy Azalea will be at Studio Paris Friday night. Most veteran Lollapaloozians know that the real party starts when the festival closes each night. Many of the official after-shows and parties are sold out, but Do312.com has the comprehensive list of which sets still have tickets available. Beyond that, some of the city's usual nightspots have special programming for the weekend, including performances, appearances and DJ sets by Lollapalooza performers. If you don't catch Outkast Saturday night at Lollapalooza, Big Boi will be performing later in the evening at Parliament nightclub. Doors open at 9 p.m. and there's a $20 cover charge or reserve a table by calling (312) 380-0004. Studio Paris has a full lineup of after-parties Lollapalooza week which will be chock full of celebrity sightings. Iggy Azalea and DJ VICE stop by on Friday, festival performer Calvin Harris does a DJ set Saturday and DJ Jazzy Jeff will be in the house Sunday. Click here for ticket information. Special DJs and performances are also scheduled for sister venues Three Dots and a Dash and SUB 51. Streeterville's Bellwether will be rocking Friday and Saturday night with a DJ set by Noelle Scaggs of Fitz and the Tantrums and performances by Zach Carothers of Portugal the Man, JC Brooks, Blackbox and more. Free entry with RSVP. The Underground is always known for its celebrity sightings -- especially during Lollapalooza. The nightclub will be open Wednesday through Sunday, but keep a special eye out for the Lolla kickoff party on Friday with special guests Nelly and Samantha Ronson. US Weekly hosts an official after-party Saturday with sets by Chromeo and DJ Clinton Sparks. RSVP for table reservations. Sister venue Rockit Bar & Grill offers an Indie Lolla Experience with live performances during brunch Friday and Saturday. Ivy Levan and Danny Masterson, AKA DJ Mom Jeans, perform Friday, and The Knocks and Ryan Cabrera will be in the mix Saturday. Public Hotel gets in the Lollapalooza spirit with DJ performances by Major Lazer's Splurt on Friday and Passion Pit on Saturday, starting at 10 p.m. both nights. RSVP to librarybar@publichotels.com.